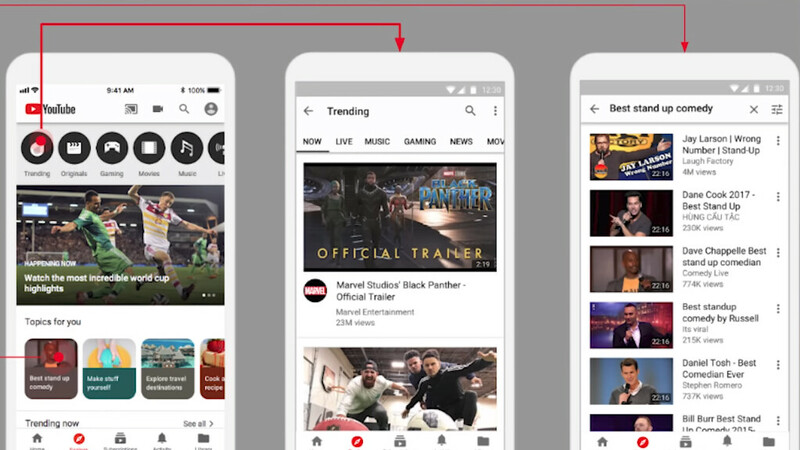 You've probably read about YouTube's latest experiments with its mobile apps where the company adds various features that are being tested by a small number of users and then implemented for the general use later on. Well, it appears that people aren't happy at all that YouTube is testing new features without first announcing them, which is the main reason the developers have decided to detail their next experimental project. The new Explore tab is meant to help YouTube users discover videos on the topics they usually follow, but coming from creators they didn't know. The tab is still personalized based on the user's viewing activity, so you will only get suggestions about topics of your interest. Explore is designed to help you be exposed to different topics, videos, and channels that you might not otherwise encounter, but they are still personalized and based on your viewing activity. For example, if you’ve been watching a lot of videos about telescopes, in Explore you might see videos about high-end cameras. It’s going to give you a little more variety. For the time being, the new Explore tab will only show in the iPhone app, but not everyone will be able to test it. According to YouTube, about 1% of iPhone users will notice that the Trending section will be replaced by the new Explore tab. However, they will still be able to access the Trending section via a shortcut on the Explore tab. Meanwhile Android (a Google company) doesn't even have dark mode on it's YouTube (a Google company) app. Go figure. There's more to life than being a closed minded fanboy. This message is for your subconscious to pick it up and analyze it later on in your life. Please, tell me, how does that sentence present a closed-mind opinion? I stated a factual claim that is not anecdotal. https://www.androidcentral.com/youtube-dark-mode-android Here is a link for you to better educate yourself with. Drop the ignorance. The only one showing "fanboyism" here is you, LMAO - getting so irritated to reply with such an asinine comment in response to a factual statement.